Tractor for little boys. 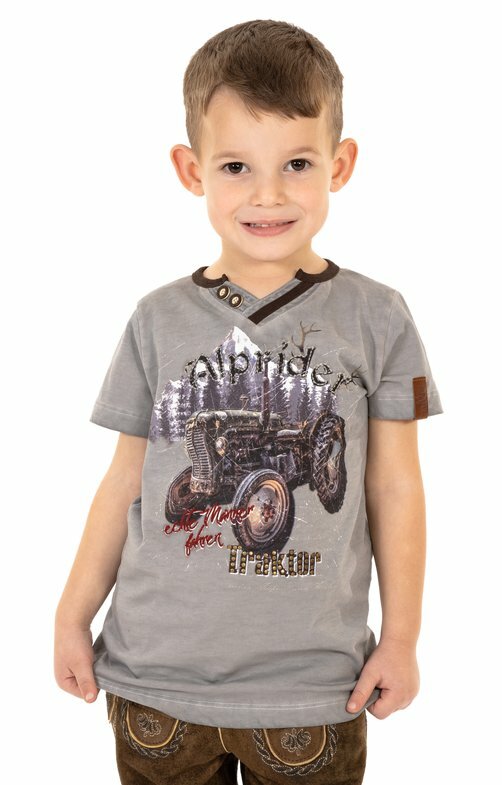 The grey costume Kids T-Shirt KLAAS Kids features a V-neckline with two decorative buttons and brown trim, short sleeves and a large front print depicting a tractor. It stands in front of a mountain and is surrounded by logos. The T-shirt is made of pure cotton and offers a high wearing comfort.